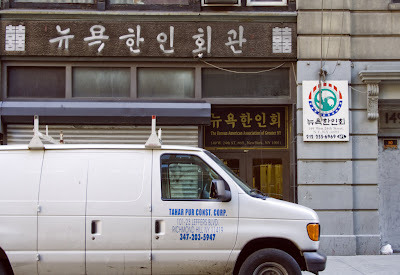 The parade proceeds down Broadway from Times Square to 23rd Street, so a good viewing point would be in the mid 30's, so that when one becomes fretful, tired, hungry and thirsty, one can nip over to one of the Korean restaurants there in Koreatown. Just read about those restaurants! This is starting to sound like a really good idea. Let's get up a group and go next year.